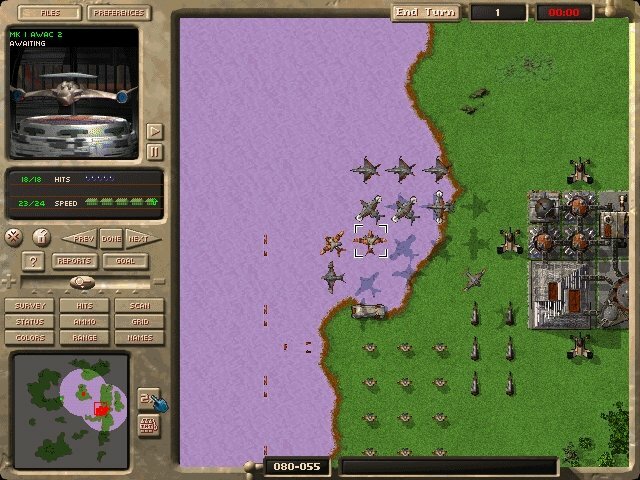 Take the original ideas behind Command & Conquer, throw in the kinds of extra details and upgrades and subtle variety you can find in War Wind, add actual AI and a tough series of missions, an extensive campaign through a multitude of locations, a dynamic mission generator, an embarrassing variety of units, and eight separate sides to choose from, and you’re halfway towards describing Interplay’s turn-based MAX, or Mechanized Assault & EXploration. 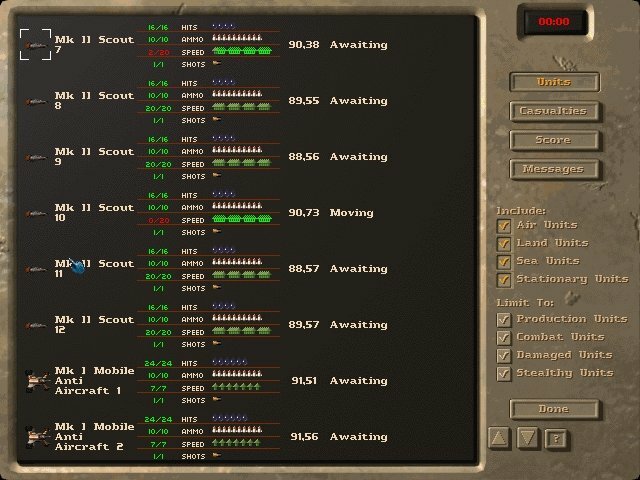 The basic mechanics of play timing is interesting. 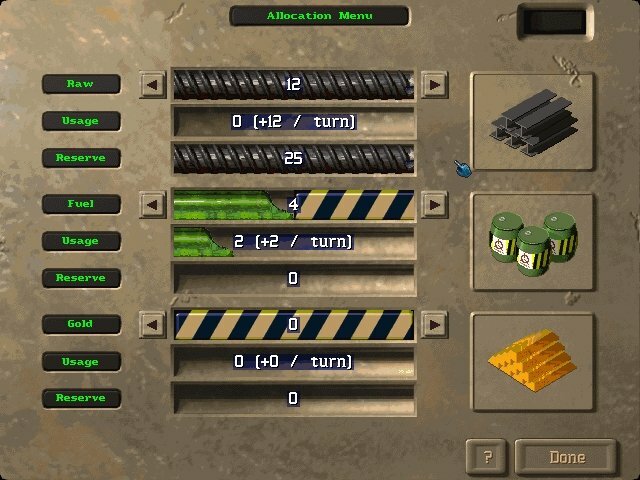 You can play in either a simultaneous or turn-based mode, with time limits set for each player and for the entire turn, if desired. Particularly desirable for multi-player, this makes the hurry-up-and-wait nature of strategy play across a network a thing of the past. All parties can agree on how long they want their individual turns, and how long they want the entire turn, to take.. 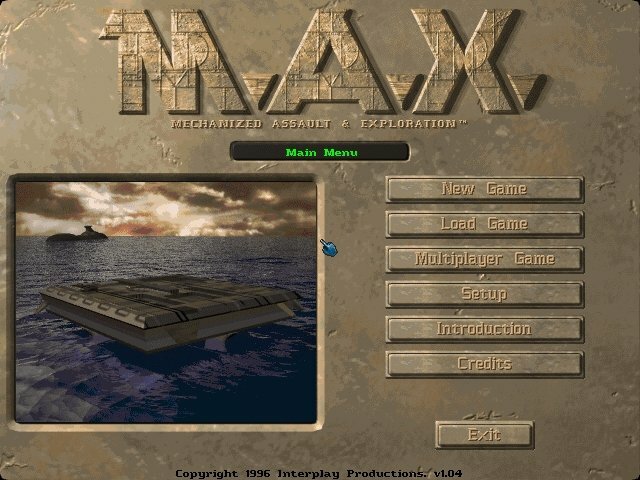 The singleplayer missions, campaign and mission generator in MAX go spectacularly beyond the resources usually provided in single player mode for this sort of game. 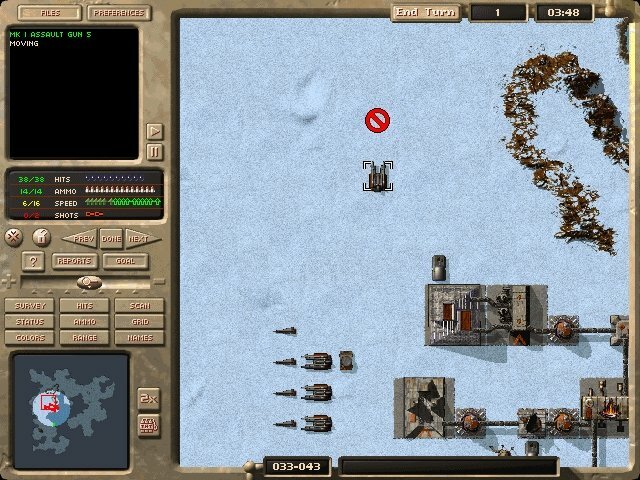 The eight different clans, the numerous planets and their tile-sets, the wide range of computer AI difficulty settings all mean there’s an almost Warlords-like variety to the ways you can set up your game world. The custom mission generator does a good job of initializing conditions for all players, human or computer, and the turn timers and turn limits mean you can organize quick or 800-turn long games. 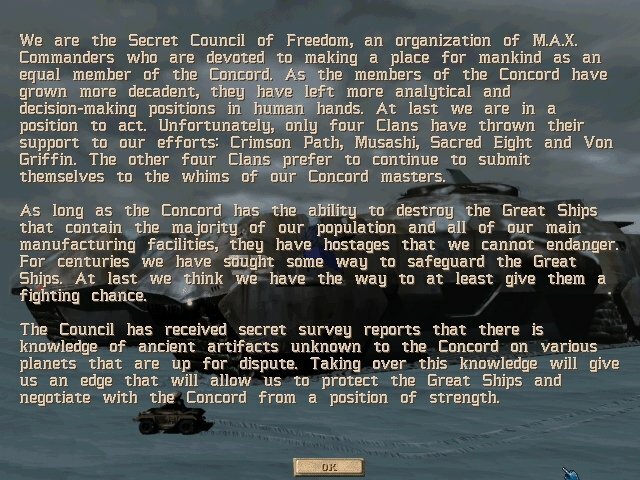 If that weren’t enough, the extensive variety of units, possible goals, combination of forces, differences in clan strengths and weaknesses, advantages and disadvantages of different locations (depending on technology available) all add up to an almost incalculable richness of gaming experience available. 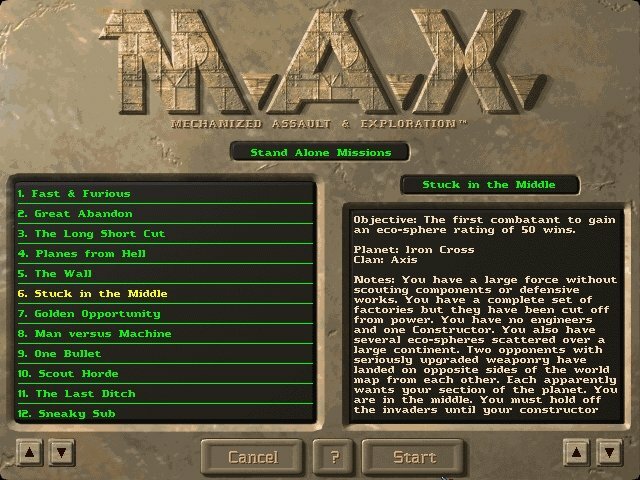 Provided you accept the graphics and learn to grapple with the initial complexities of the game, MAX will offer a long, long time of gameplay without the boredom. is there able to play in windons 10? 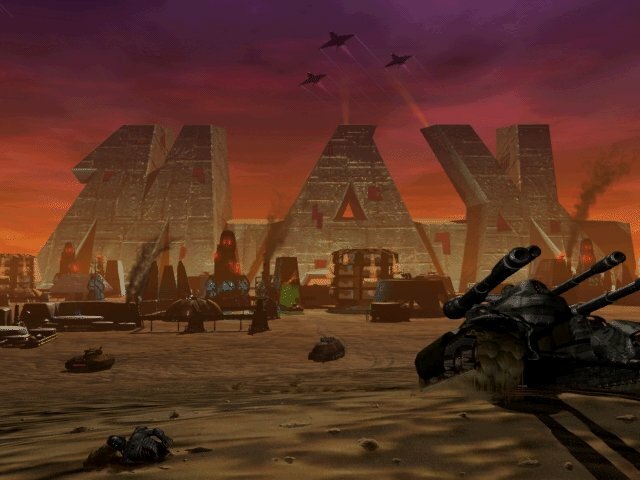 Absolutely tremendous game! 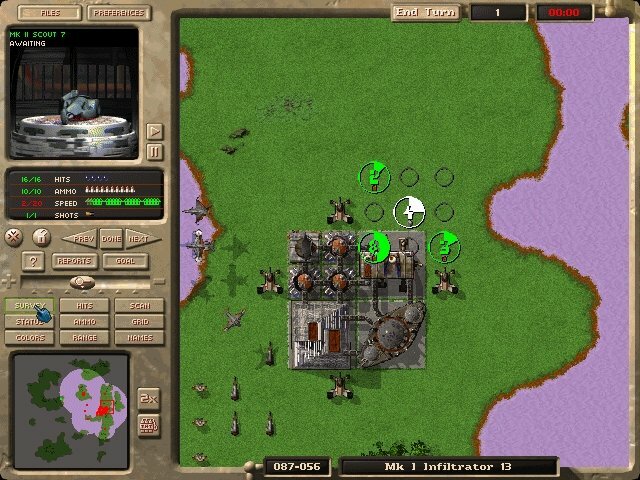 In my Top-10 of turn-based strategy games forever.